360 pieces stainless steel spring bar set with spring bar pin remover. These watch link pins are packed in a transparent plastic box. 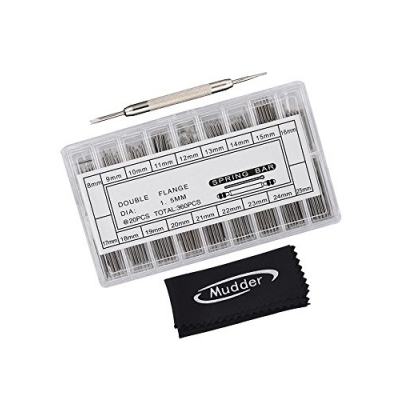 This set has 18 different sizes that will fit most makes and models of watches, and it is easy to install.